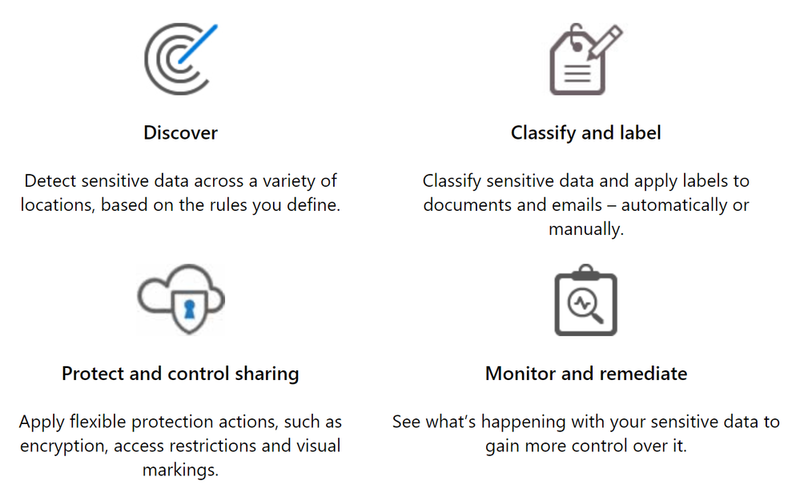 Deploying Azure Information Protection from a technical standpoint is a fairly simple task. Where it becomes challenging is when you begin looking at the business requirements that must be in place prior to deployment of AIP. Because of this, we (the Information Protection Customer Experience Engineering Team) have developed this guide to assist customers with the acceleration of AIP from a business perspective. While there is a fair amount of reference to technical details in this document, it is not intended to be an end-to-end project plan for full deployment. Rather, it is a guide to help business decision makers and IT implementers understand the best ways to deploy Azure Information Protection and to avoid mistakes that could cause delays in rollout. In this guide, we cover the four phases of the Information Protection lifecycle and provide guidance on how to approach each of these phases. By breaking down these phases into easy to follow sections, you can begin to see that there are actions you can begin taking today to improve your security posture and reduce risk related to protecting your company’s sensitive information. This guide is available online as a PDF at https://aka.ms/AIPDAG. We welcome feedback regarding this guide. We have created a form at https://aka.ms/AIPDAGFeedback for this purpose. We truly hope this will help you accelerate your deployment of AIP and help reduce the risk of compromise of your sensitive data.